To provide overall leadership and supervision in implementation of Mwanzo Integrated Development Project to ensure optimum impact, cost effective and maintain high level of excellence, accountability, reporting, monitoring and evaluation as per WVT approved policies, systems, procedures and donor requirements. Communicate World Visions Christian ethos and demonstrate a quality of spiritual life that is an example to others. Provide overall leadership and management in the implementation of Mwanzo Project. Ensure program implementation is executed as per approved program documents (approved budget, work plans and program design). To take lead on networking, integrating, coordinating program partners (farmer groups, government, GAFCO, Vision Fund Tanzania, and others) for efficient delivery of program objectives. To facilitate reflection/learning, documentation of best practices and most significant success stories and share it with different stakeholders. Liaise with Support Office and donor as appropriately as possible. Promote creativity and innovations to staff and community members to create more impact to beneficiaries for the wellbeing of children. To facilitate community mobilization on adaptation and transfer of technologies such as water infrastructures, energy savings cooking stoves, radio programmes, application of mobile technology etc. Promote development of Small and Medium Enterprises within the Saving Groups/ CPGs and Producer Association level to increase community income for the wellbeing of children. Participate on initiation or development of project proposal and Project Design Document within and outside the project area. Ensure that Tanzania Empowerment ADP Model (TEAM) is mainstreamed in the projects as per the organizational policies and regulations. Support spillover of TEAM approach within the program area through organization of farmers into Commercial Producer Groups (CPGs) and Producer Associations to improve quality and quantity of products for market linkages. Take lead on promoting sustainable access to credit such as savings group promotion, linking CPGs members with Vision Funds Tanzania to increase income for the wellbeing of children. Ensure mobilization of critical mass at village level and capacity building of community resource people on different project models for sustainability of the project interventions. Using appropriate models, build the capacity of community and faith leaders as key agents of transformation within the project area to ensure sustainability of the project. Partner with other like-minded organizations to empower community and faith leaders on holistic and sustainable community transformation. Implement empowered worldview approach through both local trainings and exposure visits of leaders and smallholder farmers in the efforts of transforming the mindset for community/faith leaders and smallholder farmers. Identify program risks and set program expectations correctly. Lead the staff performance management and staff development as per the organizational policies. Ensure efficient management of financial and non-financial program resources is adhered as per the organizational policies and regulations. To ensure that child protection standards are adhered to and they are adequately integrated in the program. Take lead on periodic program planning (monthly, quarterly, bi-annual and annual) for efficiency and effective running of the program. Ensure quality and timely submission of the weekly, monthly, quarterly, semi-annual and annual program reports. Minimum Qualification required: Master Degree in one of the following disciplines; Agri-business, Agriculture or Community Development from recognized or accredited University with 5 years managerial experience and working experience in multi-sector grants/project management. Demonstrated Ability in monitoring and supervision. Experience working with donor funds. Ability to maintain effective working relationships with all levels of staff, partners and donors. Travel: 30% Domestic/international travel is required. *Position location to be determined by home country of successful candidate in a jurisdiction (country of US state) where WVI is registered to operate. 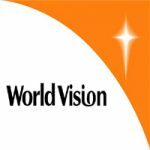 World Vision’s Strategy Realisation Office seeks a manager to lead in the full time management, development and reporting of Promising Conversations, a leader-led conversation, engaged by the World Vision Global Partnership. Working with the Marketing/Communications and Change Lead on the SRO, this position will manage key elements of the Promising Conversations initiative. Manage, report and respond to needs around ‘Promising Conversations,’ a global effort to engage all World Vision staff around the strategy. Duties will include managing the development of the content (including translations), providing timely reports and responding to needs via support, as they arise throughout the Partnership engaged. Working with relevant offices/parties, developing out the content for the Day of Prayer as it relates to the global strategy, including devotional material to be used afterwards. Connecting with and resourcing the initiative communications manager and the initiative leads’ communication point person, ensuring both persons have the resources and information they need (from the greater strategy communications plan and content developed) and is effectively working out their communications plan. Also ensuring proper alignment amongst initiative communications plans. Finally, working to ensure story & content development for initiatives (specifically re: applying project models in different contexts, etc). Story & content development/co-ordination to clarify the outworking of the strategy in different contexts. Specifically by managing the initiative to source and create best in class story content from global communicators, for use by the Partnership. Support in the form of copy writing and comms in relation to the change processes and change lead at the SRO. Excellent organisational and project management skills, with an attention to detail. Fluent in English – written/verbal. Ability to work cross culturally and with different teams. History of organisational and project management skills a plus, with an attention to detail. A self-starter that can take complex concepts and develop strategies to succeed. The position requires ability and willingness to travel domestically and internationally up to 10% of the time.